We would like to welcome you to the Quickest, Cheapest place to Print Brochures that is local to South Florida. Please use the navigation buttons on the left to learn more about each of the printing solutions offered in West Palm Beach, Boca Raton, Fort Lauderdale and Miami. Over the years, BocaRaton.com has saved our marketing clients thousands of dollars by using our local Printing Services that helped to get their brochure printing cost down. Printing size options are 5.5" x 8.5", 8.5" x 11", 8.5" x 14", 11" x 17". The brochures can be printed in Full Color - One Side or Both Sides and on 100# Gloss Text in any of these Quantities; 100, 250, 500, 1,000, 2,500, 5,000, 10,000, 15,000, 20,000. You can decide if you want them printed with No Fold, Half Fold, Tri Fold, Z Fold, Roll Fold, Gate Fold. Typical turn around times for brochures is 1-2 days and 2 to 4 days depending on the type of job. To give you an example of our cheapest brochure pricing to print a 8.5" x 11", 5,000 QTY, double-sided color on 100# Gloss Text is ONLY $360 plus tax! Brochures are a great way to get out information about your business to others in a compact format that is easy for you to give out, and your clientele to take. Our company offers printing and folding services so the moment you get your brochure, it is ready to spread your business’s information. Need to make sure the brochure is correctly formatted, or need it designed completely? We are available and ready to fill all your brochure needs. 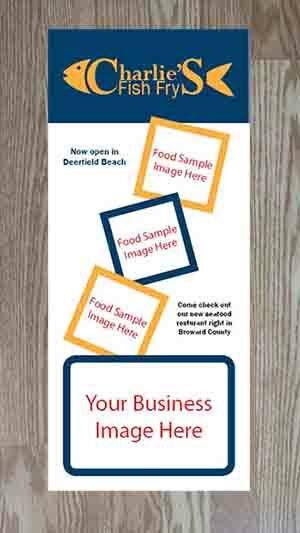 BocaRaton.com's Printing Company is a state-of-the art digital and offset printer that specializes in providing you with the cheapest pricing quotes for all types of print jobs. Give us a call for a Free Brochure Print Quote.